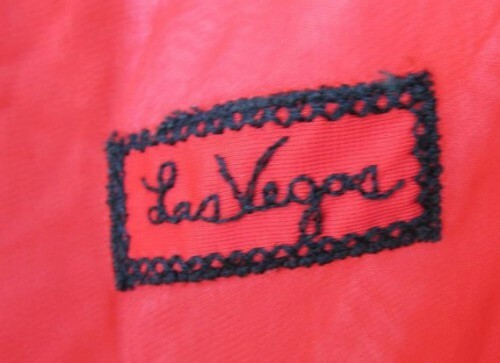 What could be more brilliant to bring to Las Vegas than this vintage red nightgown with “Las Vegas” embroidered on it?! Vintage Red & Black Nightgown Eye Ful by the "Flaums"
It also has embroidered travel stamps for “Monte Carlo” and “Palm Springs” too. Just remember to pack it back in your suitcase, because you’d be heartbroken to leave it behind! 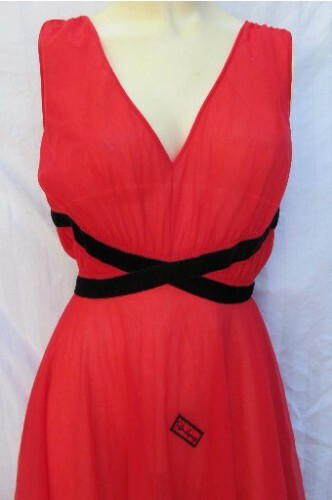 This entry was posted in Dames, Shopping and tagged fashion, glamour, Las Vegas, lingerie, Monte Carlo, Palm Springs, travel. Bookmark the permalink.